The State of Illinois is home to nearly nine million licensed drivers. The Secretary of State reported that roughly 105.5 billion miles were traveled on Illinois roads in 2013. Unfortunately, many of these miles were filled with dense traffic, near constant road construction, or shared with negligent drivers that make our state’s roads some of the most treacherous in the nation. Every driver makes mistakes, but when an accident is caused by reckless or careless behavior, the Illinois car accident attorneys of Rosenfeld Injury Lawyers LLC are available to protect your rights and interests if you have been unduly injured or a loved was killed in an accident. Our attorneys have experience settling and litigating car accident injury cases across Illinois. We offer free case reviews and never charge a fee unless there is a monetary recovery for you. According to data collected by the Illinois Secretary of State, there were over 285,000 reported auto accidents in 2013, when the rate of injuries recorded was equivalent to 9 injuries every hour throughout the entire year. Less than one percent of these accidents involved fatalities, but over one in five accidents resulted in an injury to one or more person in the crash. Of those injured, about 16% suffered injuries so severe that they were unable to fully recover, which impacted their ability to work, enjoy recreational activities and perform menial tasks without assistance. Approximately 1.2 people suffer life-altering injuries every hour in our state. The number of victims is too many and we are all responsible for making traveling safer every time we share the road. High-speed collisions are responsible for over one-third of all accidents where one or more person is harmed and about 35% of fatalities are the result of accidents where at least one driver was speeding. While speeding is one of the main factors that cause dangerous collisions, distracted driving has become a serious concern. Almost 70% of drivers nationwide have confessed to driving while taking a phone call and a third of drivers text regularly while operating a vehicle. Approximately 20% of accidents in Illinois are caused by some type of distraction. Speeding and distracted driving are not the only causes of accidents. Many serious and fatal accidents are the result of the following forms of driver negligence or reckless behavior. Road rage and violence. When drivers lose their cool and attempt to make others feel their frustration, any harsh and rash reaction can cause an accident. Alcohol and substance abuse. Alcohol impairs the driver's ability to react with the same speed as those who are sober. The impairment may influence the driver's capacity to make responsible choices. Additionally, 33% of fatal accidents involve drunk drivers. Adverse weather conditions. Roughly 20% of the accidents reported in Illinois occur during wet or icy conditions. It is important to slow down and drive at appropriate speeds whenever road conditions may limit your ability to reduce speed or come to a stop. Speeding through construction zones. Killing a road construction worker is a serious offense and can be punishable by jail time, prison sentence and/or a steep fine. 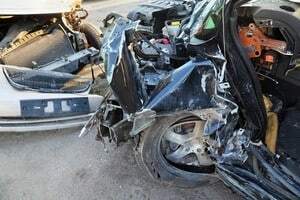 If you have been involved in an auto accident in Illinois that was clearly the other person’s fault, you may expect the other party’s insurance to offer you a quick and fair settlement. However, this is wishful thinking at best. The reality is that insurance adjusters are trained to limit the company’s financial responsibility by offering a low sum to close the case. You may think that a quick settlement offer is a good thing, but you need to review the conditions of the offer and determine whether it is in your best interest to accept it. It is for this reason that you should consult an Illinois car accident attorney. Other ways that insurance companies will attempt to avoid paying your claim is to ask you questions during recorded conversations that could be damaging to your case or call into question who was really at fault. The insurance company will also challenge your need for certain medical services and evaluate the scene of the accident as thoroughly as your own attorney will in order to find any discrepancies that will negatively impact your case. Insurance companies use scare tactics to intimidate and threaten you with negative consequences if you choose to hire a lawyer. In reality, however, insurance companies are far more likely to comply with your demands to settle when you have a legal representative working on your behalf. The reputable attorneys of Rosenfeld Injury Lawyers LLC have worked with insurance companies on thousands of Illinois auto accident cases and their claims adjusters know that they cannot get anything past our legal team. When you’ve been injured in an accident, you may not know what to do immediately following the event to ensure you can file a claim and win your case. However, our attorneys have the resources you will need to successfully resolve your case. This includes our reputable staff of accident reconstruction specialists, surgeons, physicians and other medical experts and economists who work in tandem with each other. Our experts will prove that the other party was at fault and that your demands represent the true value of your medical treatment, out of pocket expenses and long-term care. Contact us today to schedule a confidential, risk-free consultation with one of our Illinois car accident attorneys to learn more about your rights and legal options. We will guide you on the important first steps that you need to take to protect your interests and perform a comprehensive evaluation of your case before going over every legal option with you to resolve your case. Should we be unable to help you secure financial compensation for your injuries, our services will be free of charge.